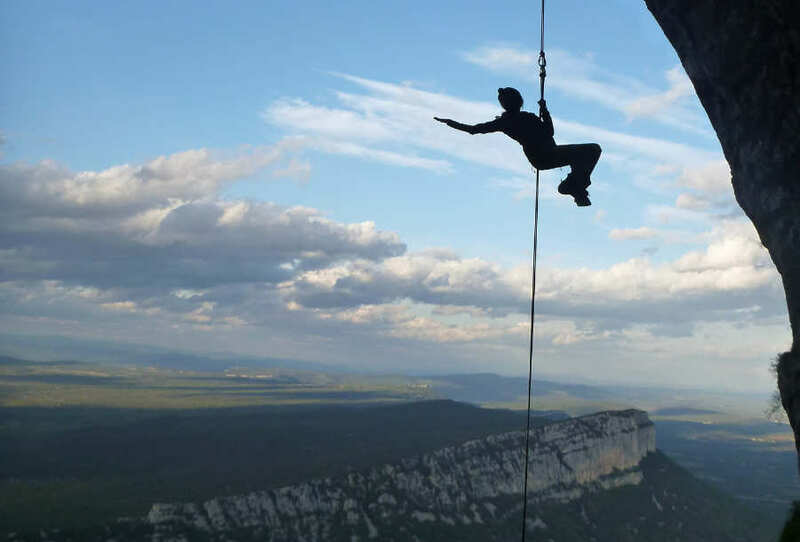 Be part of the adventure of hiking and abseiling the Pic Saint Loup and enjoy the view at the top of one of the most famous summit of the Hérault department. This activity is located in Valfaunès between Saint-Mathieu-de-Thréviers and Saint-Martin-de-Londres and can be done by anyone in good shape from age 10. It begins by the ascent of the Pic Saint Loup, this 268 metres high summit. It is a steep mix of hiking and climbing. We eat lunch at the top with a nice view to the Séranne mountains, the Mont Aigoual and the coast with the Meditarranean sea and the ponds. After lunch, safety instructions are given by the instructor and you can practice them before starting the descent. There are multiple rappels ranging from 10 to 55 metres with passages into caves and open spaces. All the ingredients are there to spend a wonderful day in nature and to be thrilled. The activity lasts 4 to 5 hours. It starts with a 1:30-hour hike and ends with a 20-minute hike. We meet at 10:00 on the car park/lot of the bakery La Tour located in Saint-Martin-de-Londres, 25 minutes north from Montpellier. As soon as the group is complete, the gear is handed out and safety instructions are given to you by a certified instructor. We then walk to the start of the route.